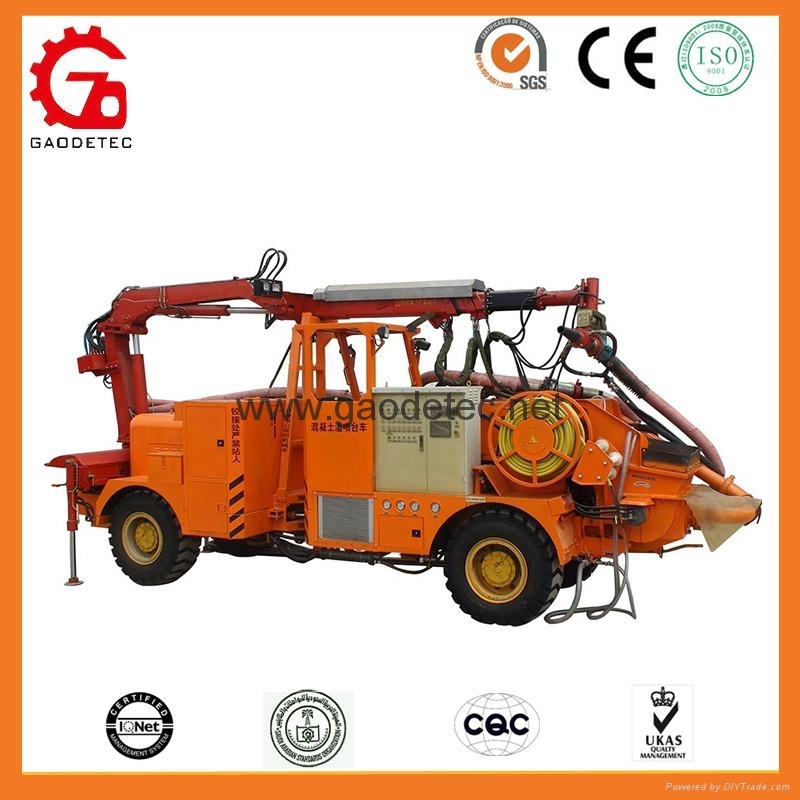 Smaller size suitable for smaller tunnel section and smaller shotcrete amount. HSC-2013 adopts arm structure of single rotate and singe telescope. 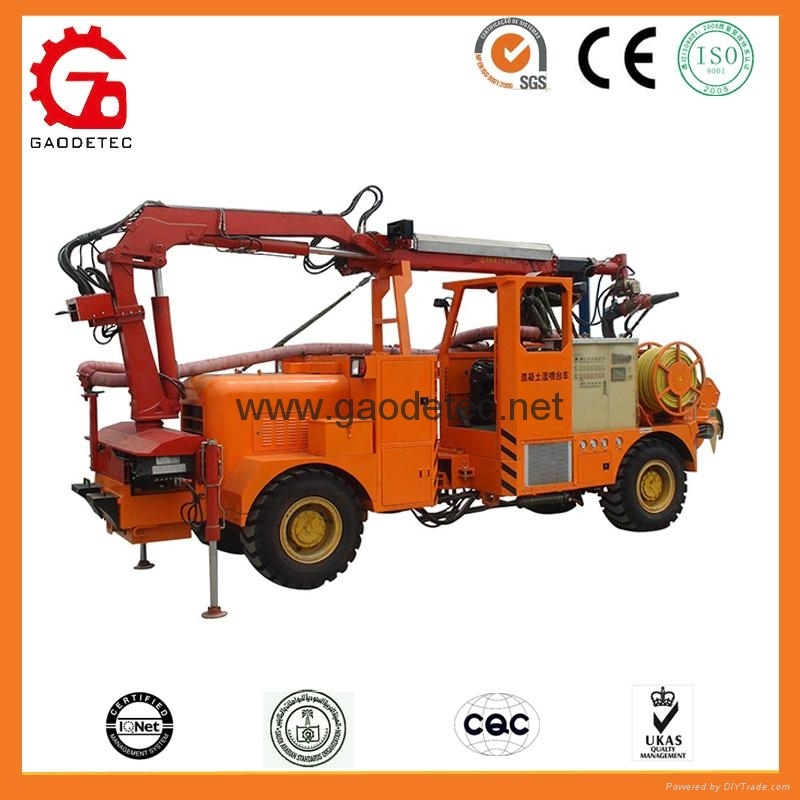 GSC-2008 adopts arm structure of small size straight arm. 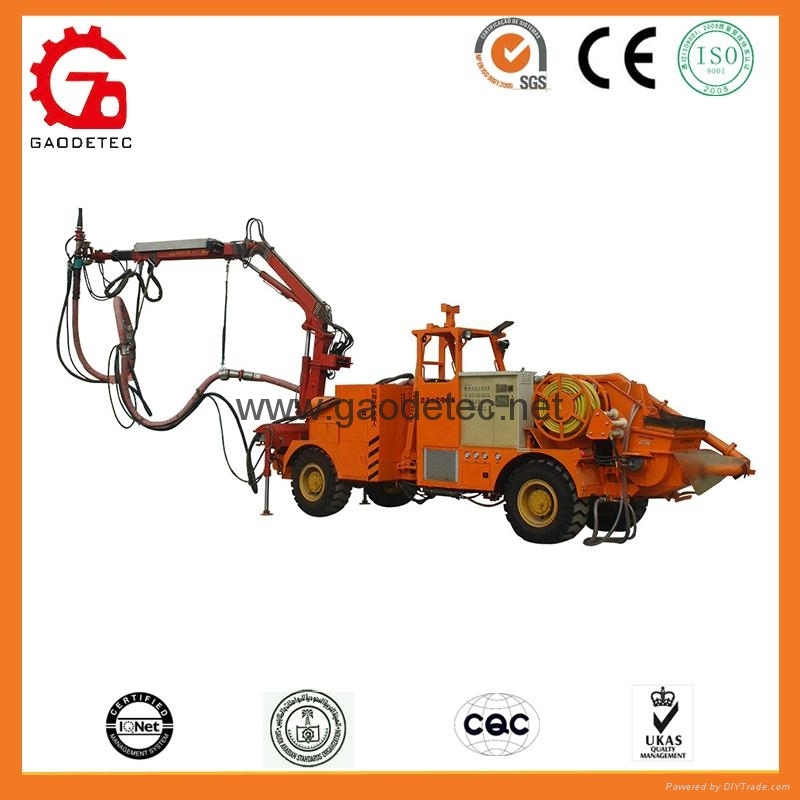 Both two models shotcrete system can be used in small tunnel section and rotate the arm to spraying position. The joints and freedom of motion can meet the requirement of spraying concrete. It’s reliable, stable and convenient. There are flood lights on both two sides of arm for spraying. 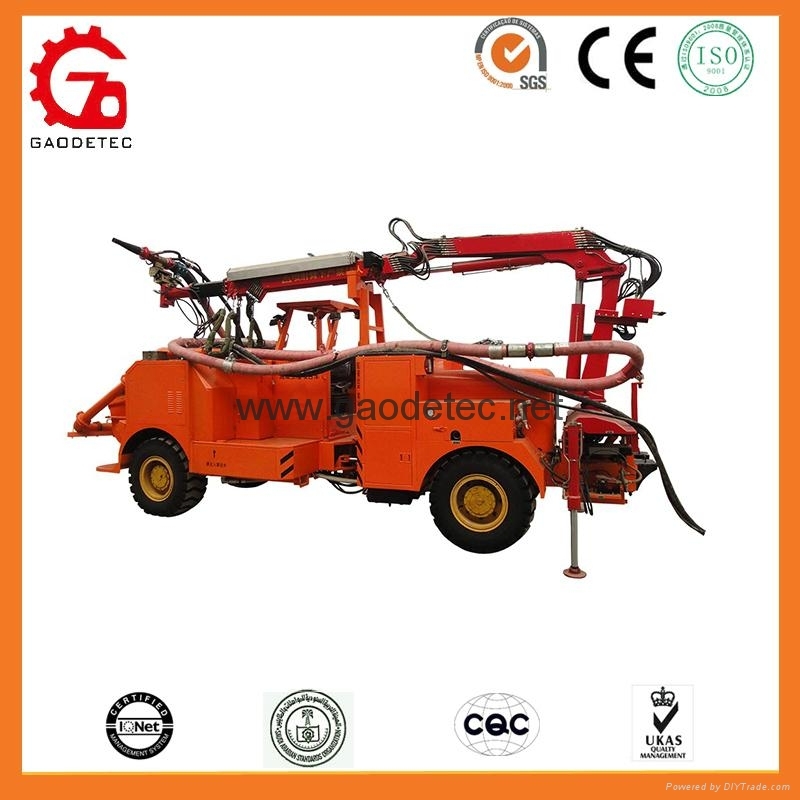 HSC2013 shotcrete system equipped with hinge type chassis and diesel engine. We also adopted hydaulic torque converter and gearbox transmission, four-wheel drive, hinge hydraulic rotation, four-wheel hydraulic service brake, transmission shaft mechanical parking brake. Transversal arrangement cab which makes it's easy to operate without turning around. There are forward and reverse gears, high speed and low speed gears. 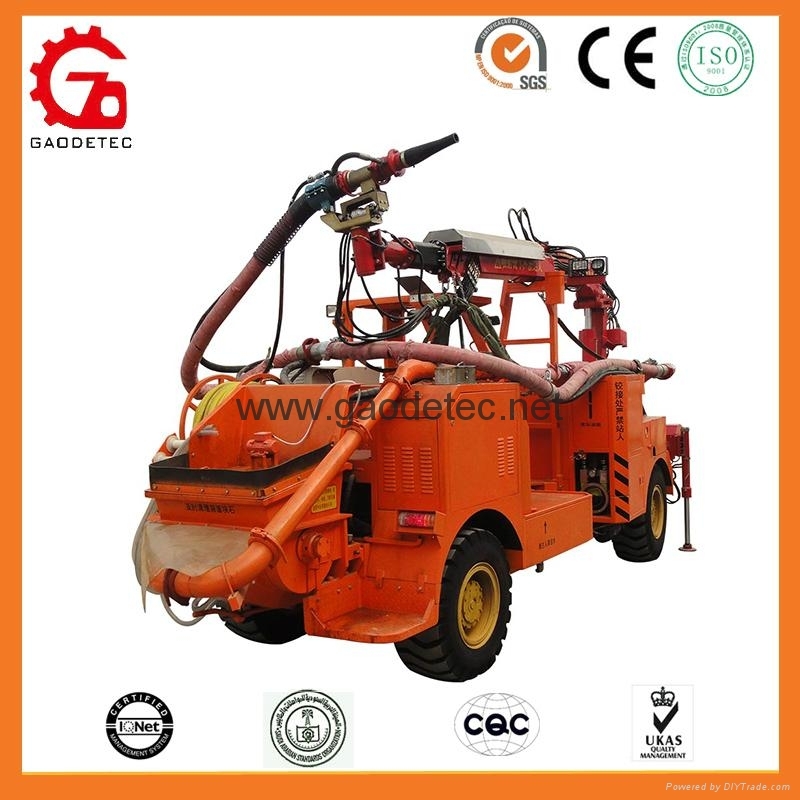 There is diesel engine which ensures the arms can be folded and cleaned when electric power is off. Reliable hydraulic pump and hydraulic valves adopted to ensure the whole pump reliable.